Please note: We are not specifically authorized, sponsored by, or otherwise directly associated with Tesla Motors and make no claims to be so. A Penny For My Thoughts? As soon as I knew we were getting a Model S, I started this blog. My wife was tired of my blathering on about our upcoming car in the months while we waited for it to go into production and I needed an outlet. It's my understanding there are a number of other car blogs that have been birthed by similar compulsions. Since Serena arrived, I've tried to be candid and open about my various thoughts on the car and have reviewed a number of accessories here and there. 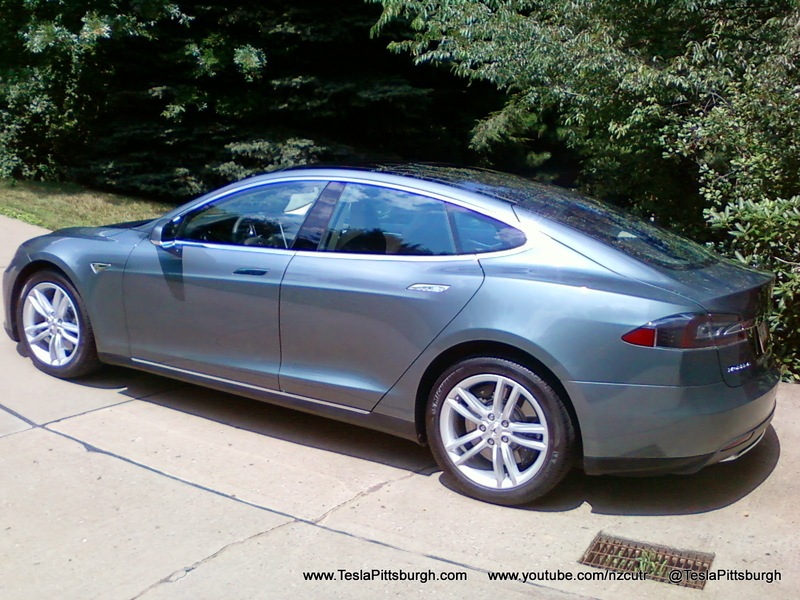 My goal was to help nudge you-- yes, YOU-- off the fence railing and into the ownership of your own Tesla. And now... the best nudge yet! Christmas has been getting harder and harder every year-- not for the kids, but for the adults. We're all capable and impatient enough to buy whatever we want, when we want it. So what do you get people who don't leave anything on their wish list uncrossed off? For years it seemed we would panic buy various gift detritus like we're on some kind of timed shopping game show-- just so we have something to wrap and put under the tree-- annoyed for the trouble of getting it there. I think EVannex has found themselves with the same problem. All contents are copyright protected. Please contact us if you'd like to use our blog. . Picture Window theme. Theme images by Dizzo. Powered by Blogger.